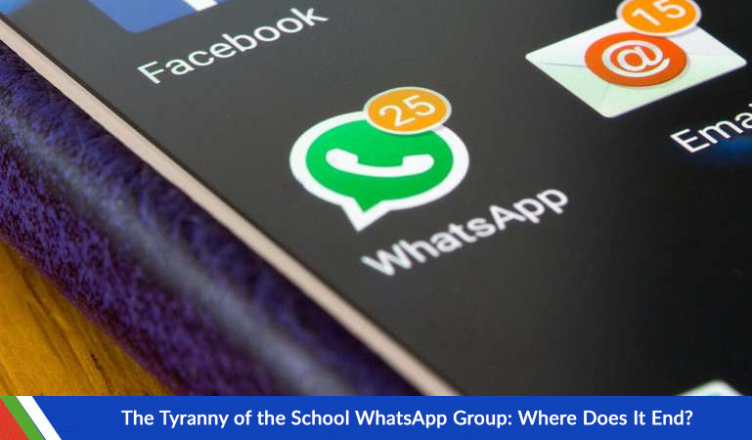 XNSPY Official Blog > parental > The Tyranny of the School WhatsApp Group: Where Does It End? The digital generation at their school is being provided with much convenience to ease the burden of studies from their shoulders. All they have to do is just pick up their laptops or mobile phones to gain access to their homework, class assignments, additional studying material and as well as to reach out to their peers for guidance related to their studies. The students are expected to make the right choices when it comes to using the internet but one cannot get rid of all the vices of the internet world. Just as there are people extracting benefits of all good sorts from the internet, there will always be those who will try to abuse the privilege provided for their own convenience. Nowadays, students are using WhatsApp groups to stay updated regarding their homework and class assignments; meanwhile, some students would use that group to socialize with their class fellows and initiate non-academic conversations which not only disturbs the decorum of an academic oriented class group but also encourages others to join them in their shenanigans. Such conversations lead from one thing to another until one falls down the rabbit hole. Currently, cyberbullying has become a global issue which people from all over the world are trying their best to combat. Yet, there remains many cases where the authorities as well as the parents have failed and students have become a victim of cyberbullying. In Honduras, a 13-year-old girl named Vanessa, was found as a victim of such a case. Her parents gifted her a tablet for her exceptional grades. She was an excellent student who was keen on using her tablet to research on different topics to help her in her studies. It was all going well for her until her friends encouraged her to download WhatsApp saying that everyone shares additional study material in the class group. Vanessa, who thought that the group would help her in her studies, immediately downloaded the app and got herself added in the group. For a few weeks she was glad to have downloaded WhatsApp since all the “geeks” of the class were actually sending additional material. As the time passed by Vanessa had grown to be friendlier with her class fellows than ever before. Every day she would spend 2-3 hours chatting with her class-fellows in the class WhatsApp group. However, this one time a kid sent a list of numbers in the group and asked everyone to choose a number and then they would have to take a challenge which comes next to their number. Vanessa’s challenge was to post half naked pictures of herself in the group. As Vanessa resisted in the beginning, she realized if she does not complete her challenge, she would lose all her friends. And without even giving it a single thought she posted the pictures. As it all happened, Vanessa’s parents had no clue of what was going on in their daughter’s life. They trusted her and never doubted she would ever comply with such a game until they found out. In return her parents banned her from using the tablet. Later, when Vanessa entered her class room, no one wanted to talk to her. They called her names and gave her judgmental stares. She felt uncomfortable and soon realized that her pictures where being sent to every other student in the school, meanwhile, another kid printed her pictures and was selling them for 80 cents to everyone in the school. This incident shattered Vanessa’s confidence and her ability to trust her friends. She felt as if she was being targeted for something she did to not disappoint her friends, rather they all are treating her as if she had done all of it out of gaining attention. Suddenly, her grades also fell and she was no longer able to cope with her studies alongside the guilt and sadness she felt. She was a laughing stock amongst everyone. When she got home she came across people posting her pictures and sharing them online and commenting heinous stuff. She had nowhere to hide from the people. That was the point where she gave suicide a serious thought. But before worse could happen, Vanessa’s parents consulted the school authorities and demanded a plan of action. Soon, Vanessa’s case was highlighted by the officials from Plan International for the authorities to take notice and she was provided with one-on-one counselling to help her deal with the emotional tumult she was going through. The damage has been done, it is going to be a struggle for Vanessa to recover from all that pain. There is so much regret amongst the affected people after such incidents even if the parents fully trust their child and keep a casual check on them, there are chances that their children can become a victim of cyberbullying. Such scenarios can be avoided in the future if the parents are careful enough before providing their children with such a technology which connects the whole world into a small, tight circle. It leaves them vulnerable to cyberbullying. Thus, parents need to keep track of the online activity of their children at all times. They can make use of a parental monitoring software program called XNSPY through which they can monitor all the activities of their children for which they do not even need to physically access their phones. By installing the program once in their children’s phone, they can keep track of their location, text messages, call logs, contacts, WhatsApp, Facebook, skype, browser history, have access to their photos and videos, remotely control the device, and be able to record the surroundings. Such a service can help parents in preventing their children from being cyberbullied. To provide more convenience, parents can access this software anywhere from their laptops or their phones with a connected Wi-Fi. XNSPY provides the best user interface experience which will enable the users who are not tech-savvy to operate the program with ease and not find themselves interacting with a complicated user interface. If Vanessa’s parents had knowledge about a software program, such as XNSPY, she would not be suffering from severe social anxiety and depression. Her parents would have found out about the heinous game her friends were playing with her and could have prevented her from posting her pictures, but what’s done is done. This tyranny of cyberbullies through such WhatsApp groups or any other groups must come to an end. Therefore, it is highly recommended for today’s parents to be more vigilant when it comes to today’s digital generation, otherwise, the future of their children is at stake.